For lovers of European crime fiction tired of reading about another glum, divorced, middle-aged Scandinavian police detective who drinks too much for his/her own good, a form of deliverance is on the way. Polish crime fiction is blossoming, and this can even be seen in the English translation market, which can be about as difficult to break into as a high-security safe. Yes, we will now be able to read about glum, divorced, middle-aged Polish police detectives who drink too much for their own good. Hurray! For American readers, Melville’s International Crime Series is coming out with the first of Marek Krajewski’s very well-known Inspector Eberhard Mock Quartet – Death in Breslau. 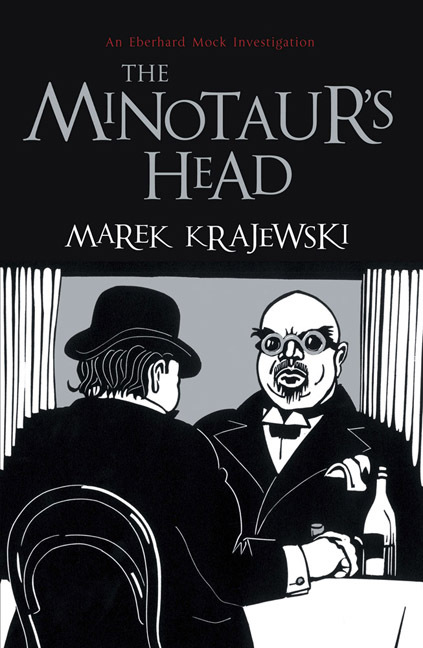 For British readers, the series is reaching its conclusion, with the publication of The Minotaur’s Head by MacLehose Press on August 2. The other books in the series are The Phantoms of Breslau and The End of the World in Breslau, both of which will be forthcoming in the US from Melville. 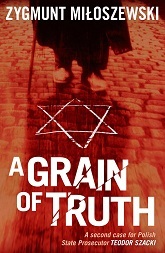 Translated by Danusia Stok, the novels are all set in the Polish/German/Jewish city (subject of Norman Davies’ Microcosm) from the aftermath of World War I into the German occupation. Breslau, by the way, is today’s Wrocław, a place I live only three hours and forty minutes from but haven’t managed to get to yet. Another Polish crime writer delving into Poland’s past through the crime genre, though from the platform of contemporary investigations, is Zygmunt Miłoszewski. I wrote briefly about his excellent Entanglement in an article about Central European crime fiction and in September Bitter Lemon Press is publishing the follow up – A Grain of Truth, translated by Antonia Lloyd-Jones. A review of the new novel will be up shortly. But there is apparently much more where these came from, as this excellent summary overview of Polish crime fiction shows. One fascinating feature is that the trend for interwar retro à la Krajewski, but in different locales, is shifting to different historical periods as well as the present. Another point is the increasing number of women crime writers – so those of you angered that there aren’t enough women writers published, go to the link above, copy, paste and print the names of these Polish women writers and go grab a publisher by the collar, press him or her against a wall and say that if they know what’s good for them they’ll look into this stuff. Worse comes to worst, and you get arrested for assault, you can always write about your experience and try to publish it. More crime profiles from elsewhere in Central Europe coming soon too.